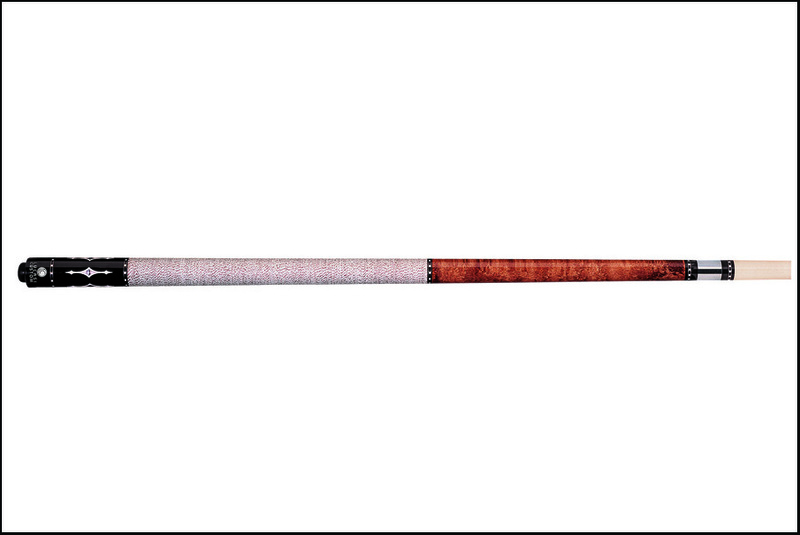 The Lucasi LZE9 is part of their new line of Custom cues. Lucasi has taken your favorite classics and updated them with supercharged performance. The LZE9 is made with Walnut stained Birdseye Maple, Imitation Bone with Mother-of-Pearl Diamond inlays, Lucasi signature rings and a White and Brown Double-pressed Irish Linen wrap. As always, you get the Uni-Loc joint and now a Zero Flexpoint low deflection shaft.